The NDA's fundamental failures in the Magnox contract procurement raise serious questions about its understanding of procurement regulations and its ability to manage large, complex procurements. The National Audit Office has published its report on the Nuclear Decommissioning Authority’s Magnox Contract. Between 2012 and 2014, the Nuclear Decommissioning Authority (NDA) ran a competitive procurement exercise for services to decommission two nuclear research sites and 10 Magnox sites. The latter comprise power stations that were at, or nearing, the end of their operational life. With an estimated value of up to £6.2 billion, the ‘Magnox contract’ is among the largest by value put out to tender by HM Government. This report is intended to support the Committee of Public Accounts’ consideration of the events surrounding the Magnox contract. The Nuclear Decommissioning Authority (NDA) ran a competitive procurement exercise for decommissioning services at 12 nuclear sites, resulting in the award of a 14-year contract for up to £6.2 billion. Through the ‘Magnox contract’, the NDA aimed to ‘do the same for less’ and give the contractor a stronger incentive to deliver savings for the taxpayer. HM Treasury approved the competition and contract award on the basis that the new contract would provide savings of at least 10%. In July 2016, the High Court found that the NDA had wrongly decided the outcome of the procurement process; the NDA agreed to settle claims in March 2017. 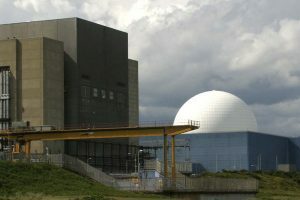 Energy Solutions, one of the incumbent contractors for the Magnox sites until 2014, unsuccessfully bid for the contract, and subsequently issued legal claims against the NDA for damages. The High Court found that, had the NDA applied its evaluation criteria correctly, the winning bidder, Cavendish Fluor Partnership (CFP), would have been excluded from the competition. The NDA agreed to settle legal claims with Energy Solutions and its consortium partner at the time of the bid, Bechtel, at a cost of £97.3 million. For the procurement, the NDA Board relied on assurance reviews and legal advice that did not detect problems later identified in the High Court judgment. While defending the legal claims, the NDA was progressing a complex process of contract ‘consolidation’ with CFP. The NDA describes this contractual process as a “truing up” between what the contractor was told to expect and what it actually found upon taking over responsibility for the sites. During consolidation, the expected costs of decommissioning the Magnox sites increased from £3.8 billion in CFP’s winning bid in 2014 to £6.0 billion in 2017. The NDA attributes £0.7 billion of this increase to a revised understanding of the volume of waste and asbestos on the sites, which it says could not be quantified before work under the contract began. Another £1.0 billion of the increase was expected by the NDA when it awarded the contract, but £0.5 billion was not expected. The contract provided for the consolidation process to last 12 months and conclude by September 2015, but it continued without resolution until March 2017. The NDA agreed to extend the contractual deadline to complete consolidation from September 2015 to March 2016 because of the volume and complexity of the changes required to the scope of the contract. From May 2016 onwards, the NDA received legal advice on the risk of legal challenge created by the changes proposed to the contract since it was awarded in 2014. The volume of changes proposed to the contract left the contract vulnerable to legal challenge and the NDA’s proposed approach to concluding consolidation in June 2016 would have made it more difficult to defend any legal challenge on the grounds of material variation to the contract. In March 2017, the Secretary of State announced the NDA’s decision to terminate the contract with CFP nine years early, due to a “significant mismatch” between the work specified in the tendered contract and the work that needs to be done. On 29 September 2017, the NDA, with approval from the Secretary of State, served notice of termination to CFP, effective from 1 September 2017, allowing for a 24 month notice period, ending 31 August 2019. The NDA is considering options for how the Magnox sites should be managed once the contract with CFP comes to an end. Before terminating the contract, the NDA forecast 13% cost savings (£904 million) compared with the previous contracts. The NDA believes that so far, CFP has reduced costs by around £255 million relative to the old contracts. For the consolidation process, certain formal governance arrangements were not in place until August 2015, a month before the contractual deadline to complete the process. Three reviews commissioned by the NDA assurance director cited significant risks with the consolidation process from December 2015. The reviews were shared with the programme’s senior responsible owner and the NDA’s chief financial officer, but the NDA Board was only informed of findings from the third review. The Department for Business, Energy & Industrial Strategy, UK Government Investments and HM Treasury were aware of delays to the consolidation process and the increase in the cost of the contract, but raised no formal concerns to ministers until August 2016. HM Treasury and UKGI told us that they were concerned about the delays in consolidation, but relied on assurances provided by the NDA that a resolution would be achieved. From October 2016, a cross-government group of senior officials, including the chief executive of the civil service, and officials from HM Treasury, the Department, UKGI and Government Commercial Function, met seven times to discuss the issues the NDA faced with litigation and consolidation. We estimate that the Magnox contract cost the taxpayer upwards of £122 million. The NDA agreed to settle legal claims with Energy Solutions and Bechtel at a cost of £97.3 million. It also spent £13.8 million on legal and external advisers. Of this, £3.2 million was spent on the competition and £8.6 million was spent on legal fees in the ensuing litigation. The NDA estimates that in-house staff time has cost £10.8 million. This excludes the cost of staff time of senior central government officials who were heavily involved in decisions, particularly about the NDA’s settlement and its decision to terminate the contract. On 27 March 2017, the Secretary of State for Business, Energy & Industrial Strategy announced that the government would set up an inquiry into the Magnox contract led by Steve Holliday, the former Chief Executive of National Grid. This inquiry is on-going.